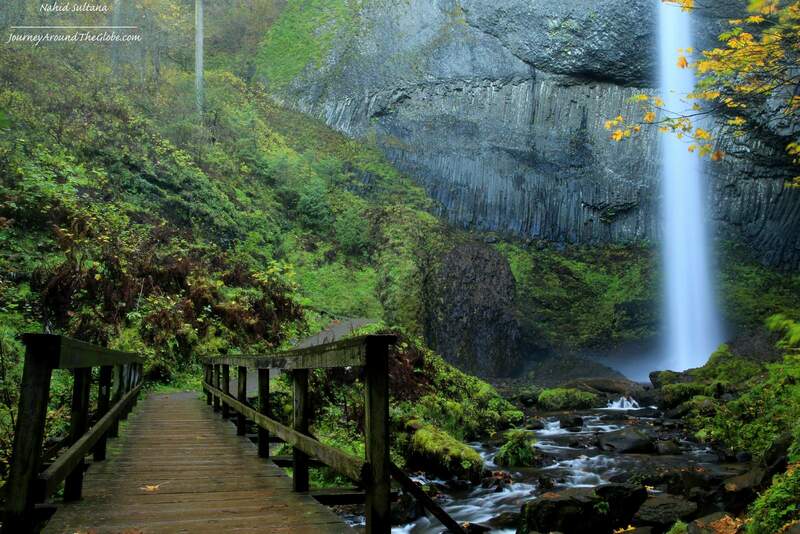 LATOURELL FALLS, OREGON: Latourell Falls is another gem of Oregon’s Columbia River Gorge. 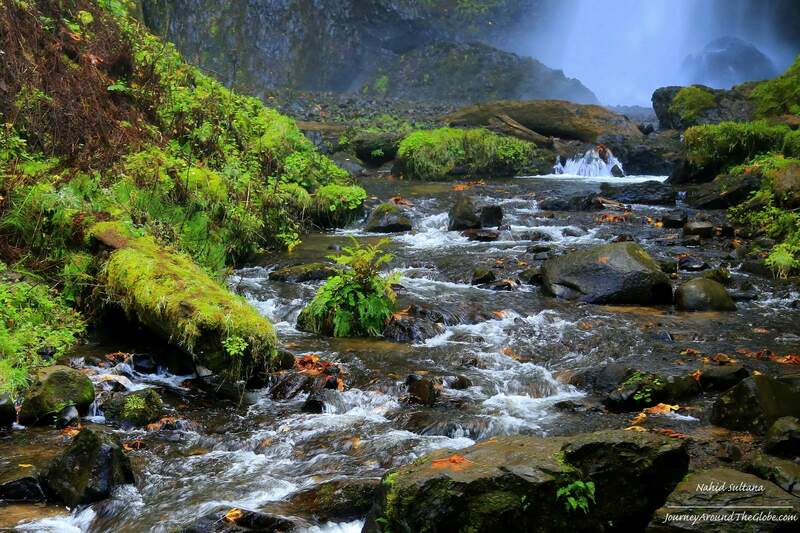 Located on the Historic Columbia River Highway, this holds no less charm than its granddaddy Multnomah Falls. This is a perfect place for family, kids, beginner hikers, photographers, nature-lovers, and anyone who enjoys outdoors. When this highway was completed in 1915, generous landowners donated property to create scenic retreats along the route. So when you are here, don’t leave the site without visiting the nearby historic bridges, numerous stunning falls, friendly hiking trails, and breathtaking views of the river, gorge, and mountains. Latourell is a plunge falls with a majestic height of 249 feet that drops straight down from an overhanging basalt cliff. I took the Historic Columbia River Highway, passed Bridal Veil and Shepherd’s Dell to reach here. 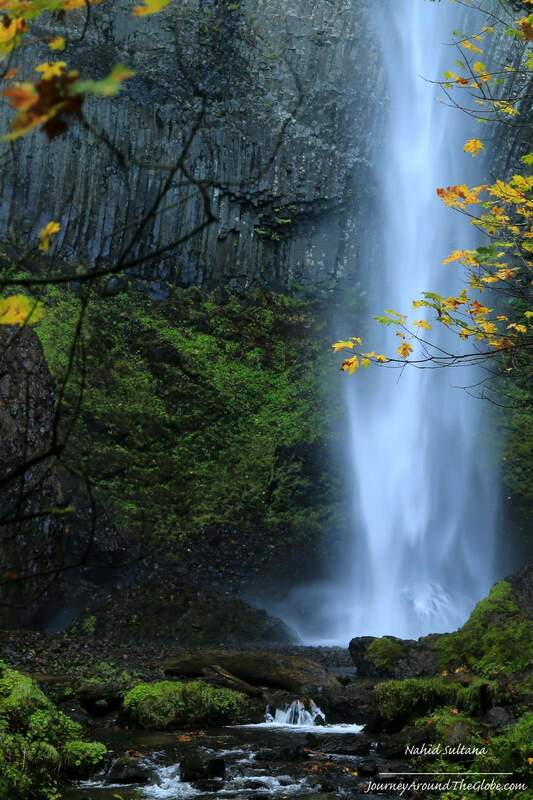 You don’t need to hike to see this one of a kind Columbia Gorge falls. It’s a nice and short walk from the parking lot. I was there around 9 in the morning in November 2014 and I was lucky to have that misty autumn morning surrounded by Latourell Falls and Creek all to myself. 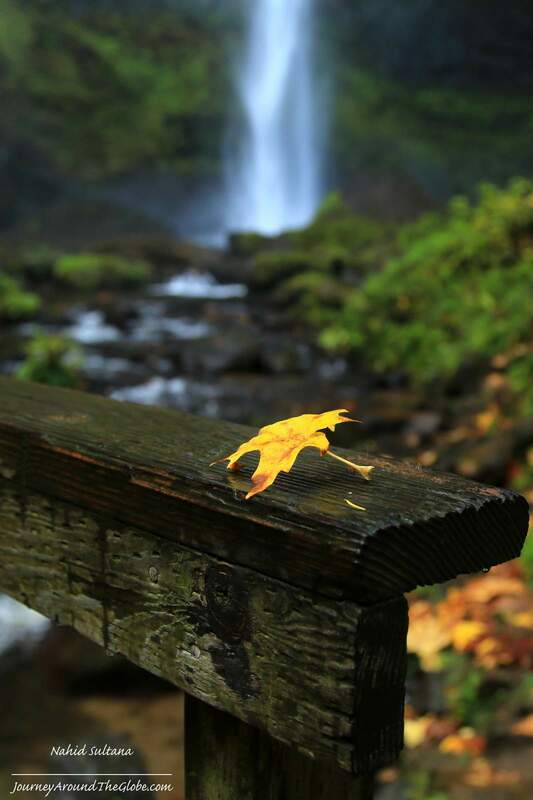 Autumn colors, mossy rocks, misty water, and wet wooden footbridge made this place right out of a fairy-tale book. It’s located in Guy W. Talbot State Park. I didn’t hike to see the upper Falls, but after a 0.8 mile of hike from the lower one, that’s supposed to be very rewarding too.